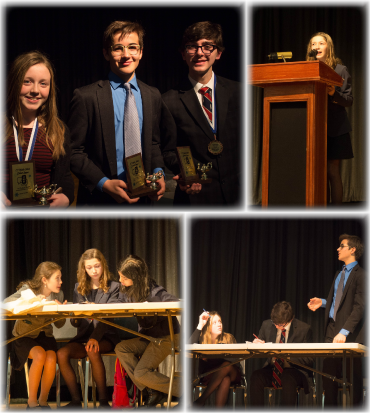 The team of Ailish MacDonnell, Tommy Fowler, and Matthew Tobin from South Orangetown Middle School took first place on a 3-0 Final Round decision. Full results can be found on Tabroom.com. Thank you to the Bethel Middle School community and coach, Cathy Emerick, for hosting and allowing us to use almost every room in the school. Thanks to the Greenwich Branch of the English Speaking Union for their continuing support. Huge thanks also go to the 54 people (High School debaters, coaches, teachers and parents) who volunteered as judges, workshop leaders, and Tab staff — you make it possible for our League to continue to operate and grow. Resolved: Judges should be automatically reappointed absent misconduct or incapacity.